Former British boxer Errol Christie has died from cancer aged 53, his footballer nephew Cyrus has announced on Twitter. The ex-middleweight fighter, who captained England in amateur boxing between 1980-83, had been battling the disease for the last two years but died on Sunday. Derby defender Cyrus, who played for Republic of Ireland in their World Cup qualifying draw with Austria on Sunday afternoon, tweeted: "RIP champ legends never die..heart is broken rest in paradise uncle your not in pain anymore..till we meet again." 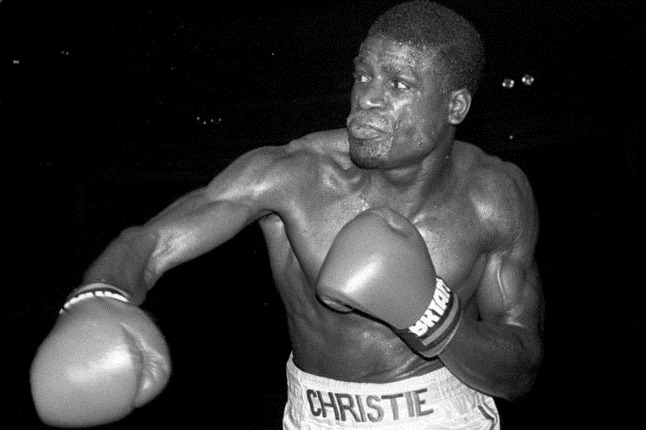 Frank Bruno has led the tributes to boxing great Errol Christie, who has died after a long battle with lung cancer. Christie, 53, was the captain of the English amateur boxing team from 1980 to 1983 and European amateur champion in 1983. BRITISH boxing legend Errol Christie has tragically passed away after a long battle with lung cancer. Former heavyweight champion Frank Bruno has led the tributes to the sporting star, who died aged 53. Mr Bruno took to Twitter to express his condolences, writing: "So sad to hear the news that the hugely talented Errol Christie has passed away. God bless you Errol, RIP."